Looking for someone who makes good quality custom lingerie. I am looking for somebody who can do me good quality meshing for lingerie specifically, and evening wear (dresses). I would like it rigged for Maitreya, Hourglass and possibly Belleza. I am willing to pay well. Contact me please Also the texturing too please. I'm currently looking to see if anyone would be interested to make a few pieces for me inspired by Animal Crossing such as, Trees, Furniture, A building or two and Décor. i need a Creator that is good at Rigging that can make a custom jacket for my frat i am in need for someone to help me please. Hello all 😊 Sorry if this is the wrong place to post this. Recently I happened upon a piece of furniture that I realized looked completely different from the original. It had the name of Rawage's Contemporary bed, but the only trace I could find of that name were the animations and a script under the contents tab inside edit mode. When using the "Edit Linked" option, I couldn't find a physical piece on the outside or inside that referred to that bed as its source. I'll post some pictures comparing the two, and I apologize for how it's going to make this longer in length. The original bed and the scripts included at the bottom: The edited bed and its scripts: Both have avsitter but I didn't bother to include that. Here is also an image of what I see when inspecting the whole edited bed: So my thought was that the base in the RW bed, made invisible in a way that I can't really find it with edit linked, and then these other pieces make up the physical look, but I remember that the scripts are different too, so I'm not sure. I'm not really expecting to be hand held to be able to replicate this, but I don't even know where to start. I'd like to eventually be able to do something like this on my own, but I'm not sure how to do so. 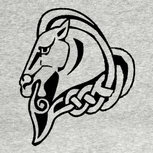 looking for someone who is knowledgeable about creating these types of clothing for the DSD equine. as there is not much out there, and nothing in my style, I want to commission someone to build me some specific items. Looking for a few Customs. To sum it up I need a furry skin made for the maitreya body and Paws canine head,this part of the custom will also need an over lay to make it glow in select spots. Im also seeking a basic scar/ tattoo for the maitreya body and catya head from catwa this will just be a normal kind of scar for a human avatar. If you are interested let me know we can talk about it and I can show the references and go into more detail about what I need done,pricing eca. Please note I'm looking for quality work, and will ask for examples of your work,Thanks. Want to commission custom avatars. Hi everyone, hoping to get some help with my avatar. I want to commission a fully put-together avatar to replace my current one. Looking for a designer willing to work with me.